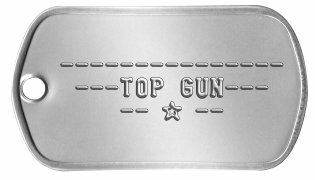 Dogtags from your favorite Top Gun character: Maverick, Iceman, Goose, Viper, or Jester. 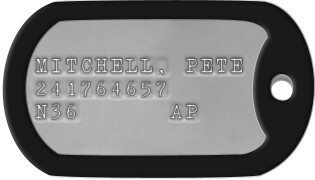 Customize to Buy your Top Gun Dog Tags now! All orders are shipped within 1 business day and are usually delivered within 1 week (in North America). 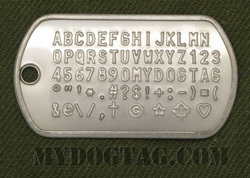 If you need any assistance creating or ordering your Top Gun Dog Tags please contact us directly, we are here to help!